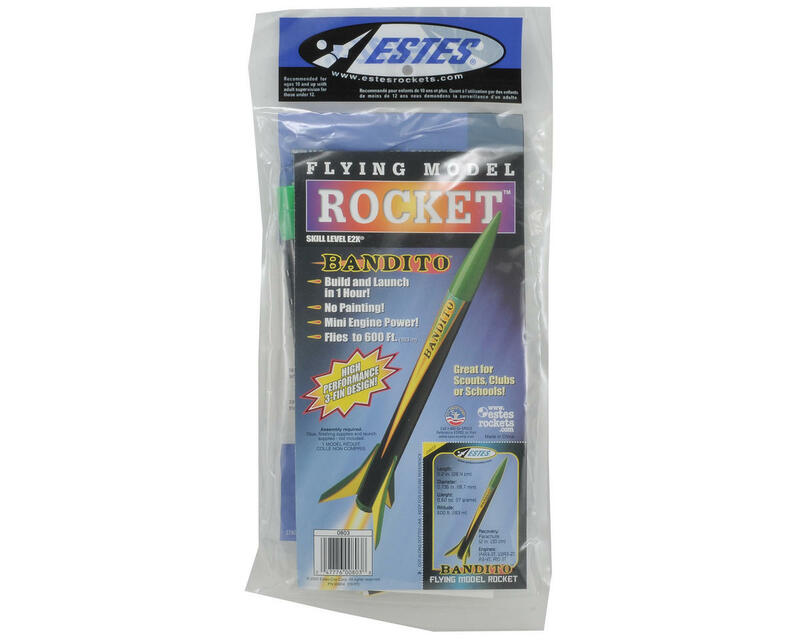 This is the Estes Bandito Rocket Kit. Need to spice up your next trip to the launch pad with a slick looking, high performance mini rocket? The Estes Bandito from the E2X (Easy to Assemble) series offers the perfect blend of both. This cool looking rocket is just a little over 11 inches (29 cm) tall and is aerodynamically shaped with a ballistic nose cone and radically swept fins for awesome flights to over 600 feet (183 m). This hyper velocity mini rocket is easy to build and fun to launch. 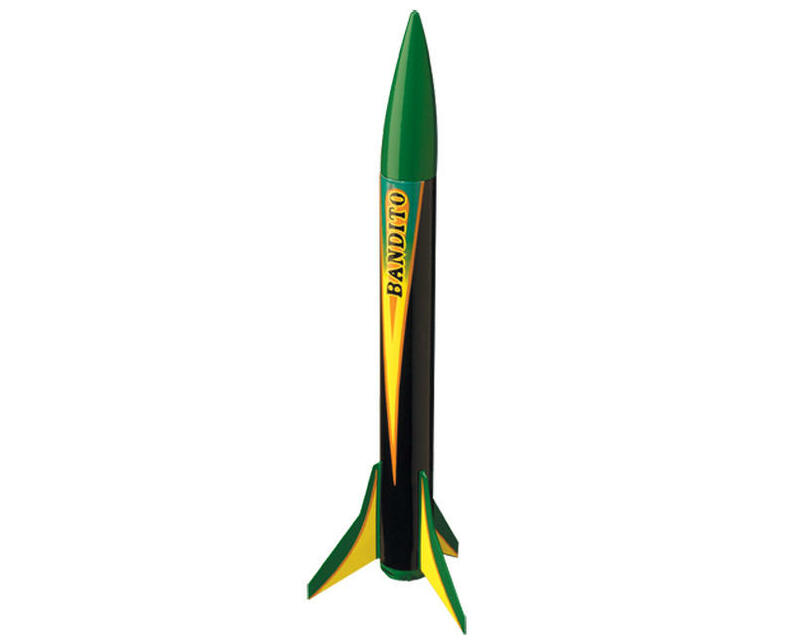 The Bandito is one of the Estes rocket kits that uses the powerful and economical mini rocket engines. After its galactic voyage, it returns safely to the launch site using a colorful 12 inch (30 cm) parachute. Make out like a bandit and buy a Bandito today!